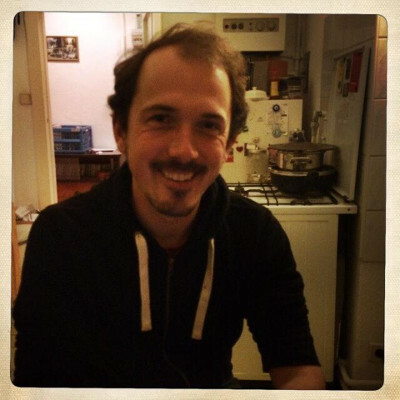 In this, our fifth interview, we talk with Daniel Holbach who shares some details about his work at Canonical, projects he’s been involved with in the Ubuntu community and some wisdom for newcomers to Ubuntu. I work for Canonical and will celebrate my 10th work anniversary later this year. I still enjoy it a lot. I learned loads, got to know many great people and made many new friends. Back in the early days I worked alongside Sébastien Bacher. The two of us basically were the “Desktop team”. Although I was quite used to working with our developer community beforehand, at some stage Canonical recognised Community work formally as something which deserved its own team. This is where I still am and still what I like a lot. At home we always had computers as far as I can remember. I remember several Apple II models both at home or my dad’s work office I “typed” on when I was maybe four or five years old. From thereon I played on computers, or had my dad show me what he was working on. Some time later I learned a bit of programming, when I was maybe ten. Back then most of my programming consisted of changing small bits in games written in Basic or Pascal or copying stuff from “code listings” from computer magazines. How long have you been involved with Ubuntu? And how long on the Ubuntu Community Council? I got to know Michael Vogt through a friend we had in common when I was studying in Dortmund. One day in 2004 he said “I’m going to work on this thing based on Debian, do you want to try it?” Because I had a bit of spare time on my hands and was welcoming any distraction (I was working on my thesis back then), I said “Of course”. Hours later I had an invitation from Jeff Waugh in my Inbox. I upgraded my Debian machine to Ubuntu and was immediately hooked. Looking back, I think it was a mixture of both the heavy emphasis on new social standards in the open source world plus the willingness of many good developers to answer my questions which got me involved. If Launchpad is not lying, I have been part of the CC since May 2007. A bunch of websites: Harvest, the LoCo Team Portal, the Packaging Guide, lately mostly developer.ubuntu.com and lots of graphs Jono made me do. I was part of the planning of many initiatives like the new software store, some of our development/governance processes. Fun things like our 24h Ubuntu Community team marathon. I’ve been privileged to work with many great people in many many teams, be it QA, documentation, our development teams, internal teams in Canonical, customers and many more. Now I just worked on a help app for Ubuntu devices, and soon I hope to look a bit more at snappy, core and Ubuntu things. Not so much lately. For some time I contributed to xwax, as I was using it to DJ, but right now, there’s nothing to fix in it – it just works great. Find something you’re interested. Something you’d like to help with, extend, change or fix. Don’t be shy, ask around how you can help, which docs you should have a look at. Start with small contributions, ask how to get them deployed/integrated, don’t give up too easily. Sometimes the people you’re asking are working on something differently and might not know the answer or sometimes it just takes a bit longer. Don’t let yourself be discouraged. Ubuntu people are a lot of fun to hang out with. Join a few meetings, chat with your team mates, be proactive, propose a hangout or a skype session to discuss things. Ubuntu is a very social undertaking. Ubuntu is in constant change, just like the world we live in. There are always new experiments, new things to be tried out, new challenges. That’s why the focus of people also changes quite a bit. Change never comes lightly and also comes at a cost in communities. Some things didn’t change over time though: Ubuntu is still free, open source, it’s there for everyone, very social and in the center of everything IT: desktop, laptops, servers, cloud, phones, tablets, IoT. I’m very impressed with where we are today.